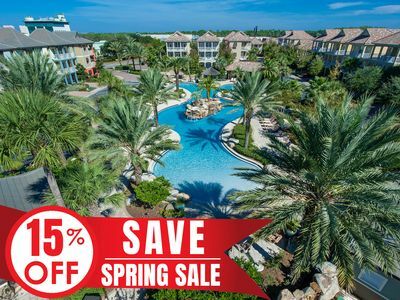 15% OFF Now-5/25/19! 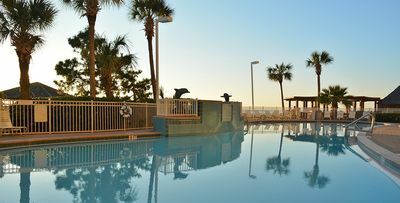 Lagoon Heated Pool, Hot tub, Near Beach +FREE VIP Perks! 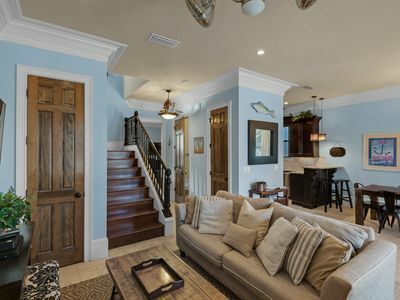 This dream vacation home, Seas The Dream, is located in the Villages of Crystal Beach community of Destin, is pet friendly, and offers three stories of luxury, close proximity to the beach, a community pool, and more! 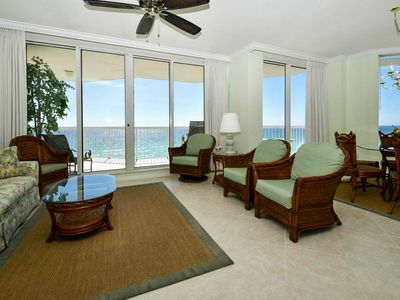 This exclusive area is a wonderful place to spend a vacation and experience all the Destin has to offer. 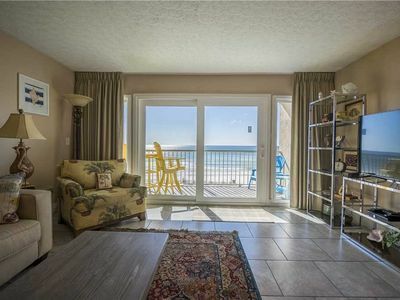 Close to the beach and other attractions, like Destin Commons and Henderson Beach State Park, you can spend your days enjoying the coast. Get ready to Seas the Dream! 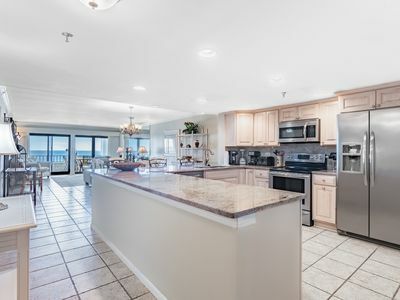 On the first floor of this beautiful home, you will find a gourmet kitchen with granite countertops and stainless steel appliances, a dining room, laundry room, and a spacious living room with a 60-inch flat screen TV. 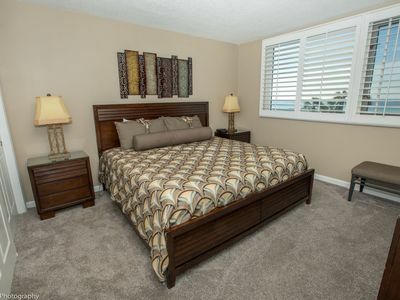 There is a bedroom on the first floor with a king size bed and full bath. 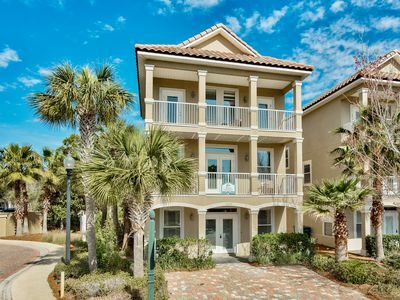 On the second floor, you will find another master bedroom with a luxurious king-size bed and master bath, a third bedroom with a queen size bed, a room with bunk beds, and another full bathroom. 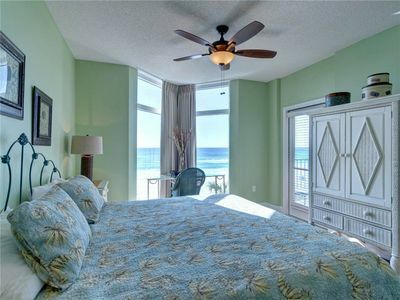 The third floor offers a bedroom with two twin beds, a bedroom with a queen size bed, and a full bathroom. 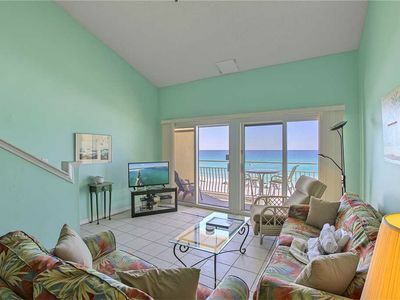 All of the bedrooms in the home contain a brand new flat screen TV. 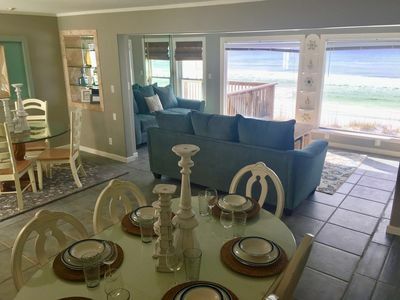 Seas The Dream, vacation rental, also offers a beach kit including 4 beach chairs, a beach umbrella, 3 boogie boards, a cooler, beach toys, and a beach wagon to make traveling to and from the beach even more convenient. 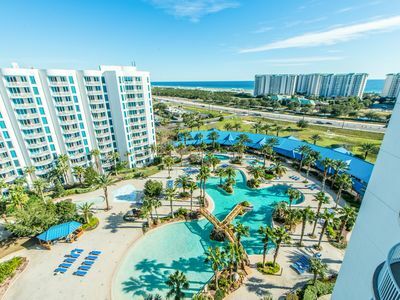 The community of Crystal Beach offers several amenities, including a community pool (seasonally heated) and hot tub, and a wonderful location near popular Destin attractions. 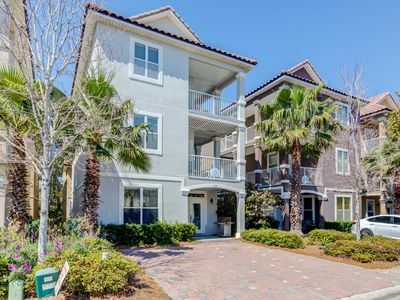 Destin Commons, an open-air shopping center with a movie theater, bowling, restaurants and more is very close. 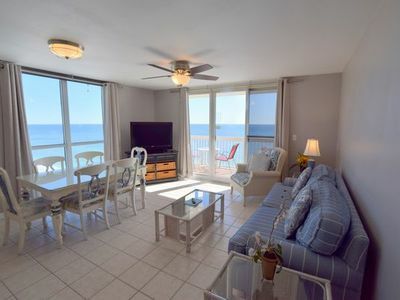 Plus, the Gulf of Mexico is just up the road and we even rent bikes at a discounted price to our guests, so you can cruise the beach in style! 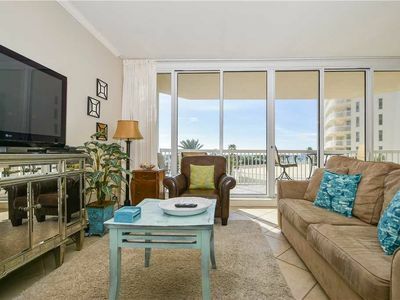 Sunny Two Bedroom Condo in the Heart of Destin!! 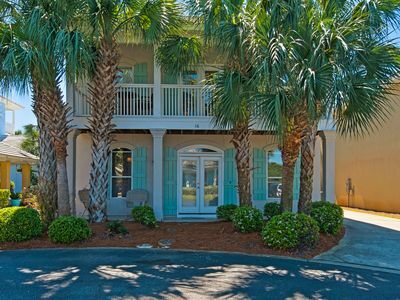 Private Tennis & Basketball Courts!! Summer is full but late summer and fall still has open weeks! 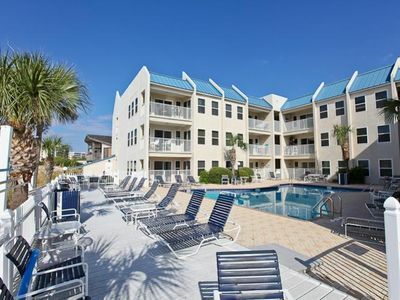 PoolSide Villas 304- A two bed Harbor Front Condo on Destin's Holiday Isle!! 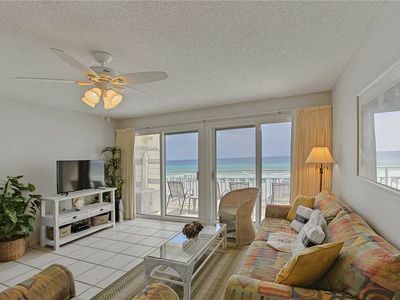 Crystal Sands 211A - Gulf Front! Community Pool! Free Beach Service! Book Today! 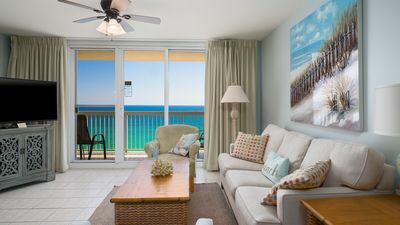 Crystal Sands 306B - Gulf Front! Free Beach Service! 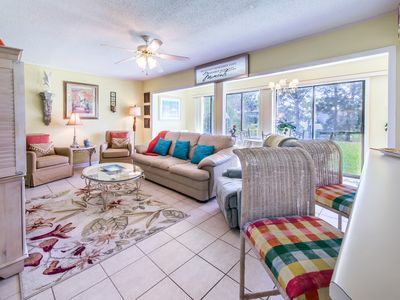 Heated Community Pool! 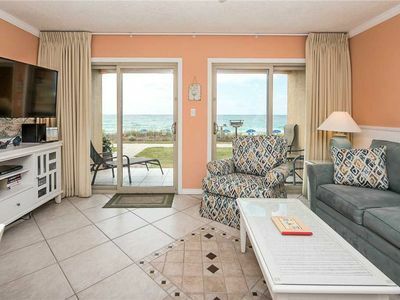 Welcome to Silver Shells St. Croix 306!